Dr Pauline Long is a multi-award winning entrepreneur, philanthropist, media mogul, TV producer and presenter who has been listed on BLACK WOMEN IN EUROPE POWER LIST. She is a global ambassador for Universal Peace Federation. 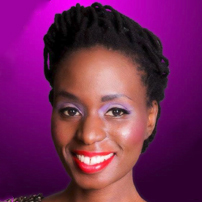 She is the Owner and founder of Europe’s biggest award ceremony for black and ethnic personalities in showbiz – BEFFTA Global brand and owner of award winning film studio East End studios, Mr. and Miss East Africa UK. She is also the president of Pauline Long Entrepreneurship Foundation and Global Africa Women’s Week(GAWW). She is a popular presenter on premiere global TV talk show THE PAULINE LONG SHOW on Sky Channel 182 -BEN TV. Dr Pauline Long is the most celebrated African woman in Europe with 89 community awards given to her for endless service to the society. Dr Pauline Long is the ambassador and patron for over 20 charities and organisations. Dr Pauline Long is ambassador of The Nelson Mandela Book and Vice Chair of African/African Caribbean and Asian Women in Politics.